This is the first store that has announced that they are going to start accepting it. Although this is only one store that has announced it, when it comes to changes like this, they are typically company-wide. 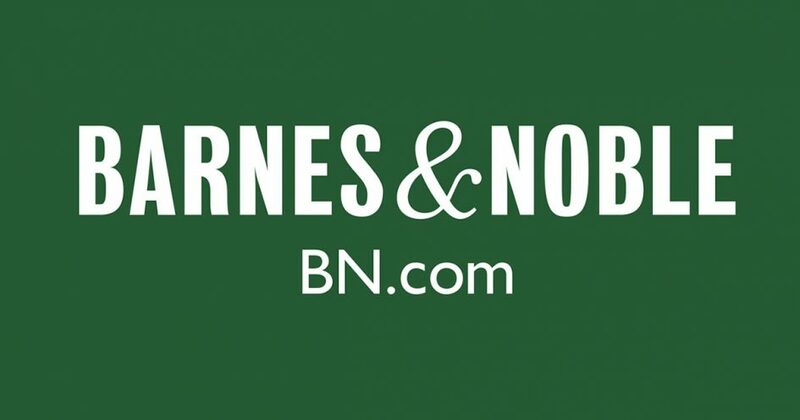 One of the few traditional bookstores that accept Apple Pay that competes with Barnes and Noble is Books-A-Million, which has stores all across the country just like Barnes and Noble. It has not been said officially by the company yet, nor has it been said whether or not it will be available in their iOS app, I can imagine that some form of announcement will be made soon. 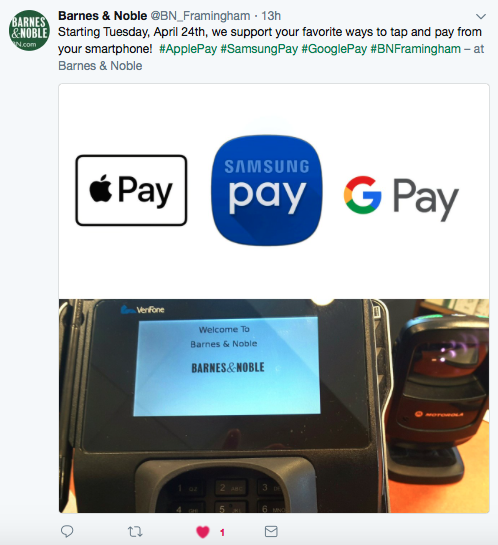 Update (04/27/2018): We do have acquired a receipt from a store that confirms that Apple Pay, along with other NFC payment services, does work at Barnes and Noble now. 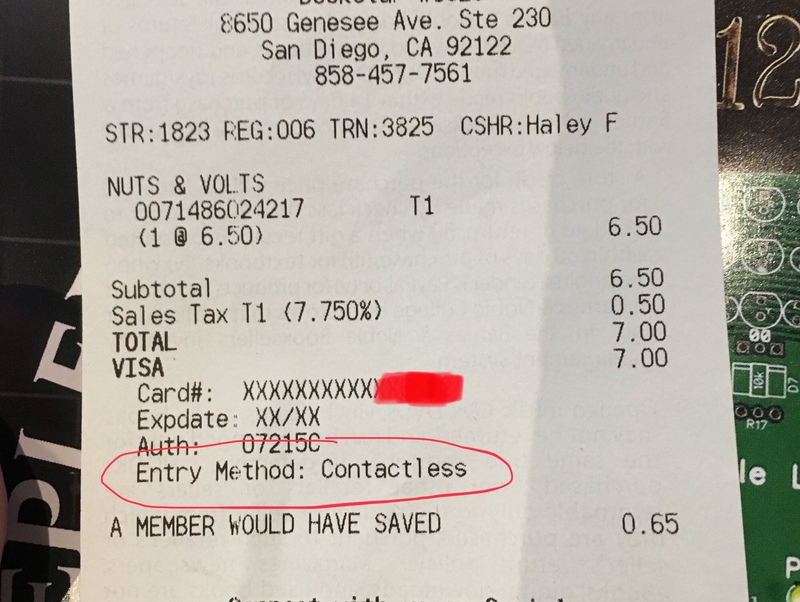 Notice in the picture below where it says “Contactless” next to the Entry Method part of the receipt.